Amazon’s out to be the top retailer and make you a top customer. The Amazon online shopping experience gets more intriguing by the minute. It’s almost as if you have your own genie in a bottle, ready to fulfill whatever your heart desires — complete with free, two-day shipping as an option. Amazon is a mega-retailer with goals of epic proportions: weaving itself into almost every retail, service, industry and media experience possible. It’s even claiming a stake in the technology sector in ways you might have never even imagined. Click through and figure out how Amazon is getting you to spend more money. Kohl’s customers can find 1,000-square-foot Amazon Smart Home Experience sections at 10 Kohl’s locations in the Chicago and Los Angeles areas. These store-within-a-store spaces are staffed by Amazon employees and showcase smart home products such as Amazon’s Echo line of voice-activated speakers and other devices including Kindles, Fire tablets and Fire TV products. Amazon has also inked partnerships with brick-and-mortar retailers including Home Depot and Sears to sell their products on Amazon.com, while those retailers stock some Amazon-branded products on store shelves. If you have an Amazon Prime membership, then you might already be enjoying the perks of two-day delivery for many products, including food items. The story gets even better for people willing to enroll in Amazon Fresh, the company’s new grocery delivery service, for an additional monthly fee. The grocery items are fresh, reasonably priced and come delivered right to your front door. For those who don’t have time to make a meal plan and a grocery list, Amazon offers meal kits for easy preparation and serving. These meal kits are another convenient addition that allows you to pick from different types of cuisines, dietary preferences and even ratings. Inside of each meal kit package, you’ll find a step-by-step recipe card with preparation instructions, cooking tips and even recommended drink pairings. Though not totally confirmed yet, it’s a real possibility that Amazon could enter the prescription drug space. Speculators believe the advantage could be the mere mass of the company: The potential to negotiate discounts and garner low, discount prices could give them a real corner of the prescription drug market. Although it’s entirely possible that Amazon could enter this space, it could take a long time to figure out the regulatory logistics and complications related to such a move. Either way, it’s still pretty cool to think there’s a potential, disruptive contender eyeing the pharma industry. Move over Etsy; Amazon wants your market share. Amazingly enough, there are actually plenty of vendors and buyers on Amazon’s answer to Etsy, Handmade by Amazon. Handmade categories include jewelry, home and kitchen, clothing shoes, handbags and accessories, beauty and grooming, stationery, party supplies, pet supplies, baby items and sporting goods. Right now, Amazon Tickets is only available in the UK. But if the ticketing service came to the U.S., it would compete directly with popular ticket sales outlet Ticketmaster. Like Ticketmaster, you can purchase tickets to concerts, festivals or any similar event with Amazon Tickets. So far, there is no definitive date on when or if the service will come to the U.S.
Amazon is experimenting with Amazon Go, a small store where smart computer technology takes the place of cashiers. The Amazon Go app works with high-tech sensors in the store to keep track of what shoppers take off the shelves and automatically bills their Amazon account for what they’ve picked up after they leave the store. When searching for something on Amazon, you might have noticed that some of your results are, indeed, paid placements by advertisers. Amazon’s ad business has been ramping up and even contributes substantially to the company’s revenue growth. Amazon web services, another growing component of Amazon’s income strategy, offers cloud computing services to companies large and small. The service is so ubiquitous that it’s the little-known engine behind many websites and apps you know and use daily. Their roster of customers ranges from startups like Airbnb and Slack to established web behemoths like Expedia and AOL. Amazon seems to have an answer for almost everything — even in the online storage space. You might use services like Dropbox, Google Drive or Box.com to store your files, but Amazon Drive is an option, too. If you are an Amazon Prime member, you will automatically get 5GB of free storage for files and videos, along with unlimited photo storage. You can’t go anywhere without hearing about the benefits of increasing STEM — science, technology, engineering and math — exposure for even the smallest of children. Amazon is answering the call by providing a STEM club toy subscription for children ages 3-4. Most people aren’t aware of the fact that Amazon has its own art marketplace. Amazon Art has been around since 2013 and offers up art in many formats: paintings, prints, photographs, drawings, mixed media and more. Amazon Art is worth exploring due to the filters that allow buyers to sift through the vast collection by price, medium, style, artist and many other characteristics. Amazon Video Direct allows independent video content creators to upload their productions directly to the video hosting platform and choose monetization models. Amazon’s growing lists of devices include Fire TV products. Amazon currently offers a Fire TV Stick, a Fire TV — which, like the Fire Stick, is a streaming device that plugs into buyers’ existing televisions — and a Fire TV Edition Smart TV with the streaming capabilities built into the set itself. The company also offers tablets under the Fire name. Amazon currently features five versions of the Fire tablet, with the Fire 7 starting at $49.99. At times, the retailer offers even lower prices to Amazon Prime members or during the holiday season. Amazon Prime started as a subscription service that guaranteed free two-day delivery to its members. Since then, the service has expanded to include Prime perks such as the Prime Video streaming service, which today offers original Amazon programming as well as other movies and television shows, and the Prime Music streaming service. Prime members can get several shopping list staples with Amazon Dash Buttons — small, Wi-Fi-enabled devices that automatically order a certain product with the press of a button. If Prime perks aren’t enough, Amazon offers souped-up subscriptions to Amazon Music, Amazon Video and its Audible audiobook service, among others. Earlier this year, Amazon also introduced Subscribe with Amazon, a service that allows users to shop for and manage subscriptions from third-party companies including newspapers, magazines and monthly meat delivery services, to name a few. For custom printing on things like coffee mugs and T-shirts, Merch by Amazon can help. You can create your own product pages to promote your creations while Merch by Amazon handles the details. Merch by Amazon will execute the production, shipping and customer service for your custom items. Though anyone can buy products through Merch by Amazon, creators can participate by invitation only at this time. Publishing used to be a nearly impenetrable industry, reserved for the erudite elites with connections, money or both. Nowadays, you can buy books from Amazon authored by average Joes or even your 8-year-old neighbor. Amazon Publishing makes the publishing process easy for creators by allowing people to publish to multiple formats. Authors have the option of publishing books in electronic format — via Kindle — audio, print or all three. Amazon’s Mechanical Turk — aka MTurk — is a marketplace that boasts a range of human capital with diverse sets of talent for a variety of tasks. These tasks could be automated, but they tend to have better outcomes by incorporating a human element. With Mechanical Turk, you can find help for tasks like identifying objects in a photo or video, performing data de-duplication, transcribing audio recordings or researching data details. 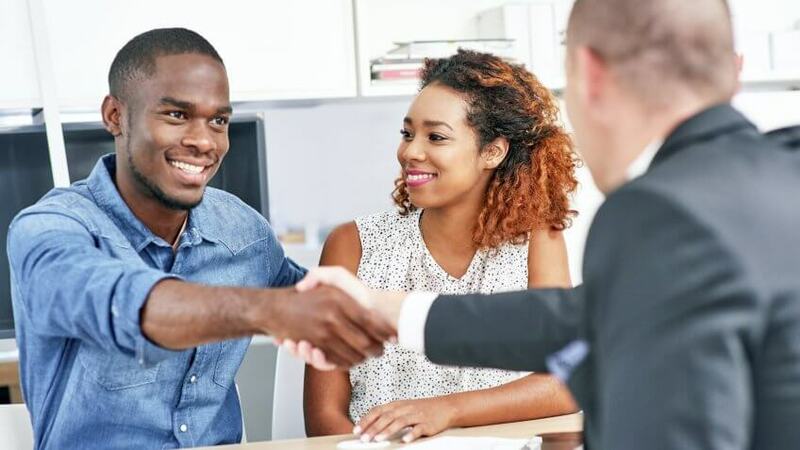 When you have small, yet important jobs around your home or place of business, you’ve probably felt the pain of finding the right person at the right price. Amazon Home & Business Services, allows you to find and schedule the best person for your needs. Amazon providers give an upfront and transparent pricing for jobs that fall into various categories: house cleaning, home theater installation, computers and electronics, yard and outdoors, smart home services, business and commercial and automotive assembly. Amazon Home & Business Services can also be a great way to earn extra money. You might be surprised to find out that everything you buy from Amazon didn’t necessarily originate from Amazon’s staffed buyers. You might purchase a TV that is fulfilled by Amazon but was procured at Target at rock-bottom prices. With Amazon FBO — fulfilled by Amazon — third-party sellers can acquire, market and sell items on Amazon while leaving the logistics totally in their hands. These third-party sellers can store products in Amazon’s fulfillment centers. Amazon is responsible for picking, packing, shipping and even providing customer service for these products. Clearly, Amazon hopes to encroach on the lucrative eLearning space by providing educational content. From the history of the ancient world to mental math and physics, there are many topics to choose from on Amazon Courses. Amazon does have partnerships with education content creators like CreativeLive, Edx and Cengage, LearnSmart and others. The Amazon Appstore is where you can purchase apps and games for Android devices like the Fire Tablet, Fire TV and any other compatible Android or BlackBerry device. You can also purchase in-app items with a currency known as Amazon Coins. Currently, the Amazon Appstore is available in 200 countries. Welcome to a world of flops, scams and epic crowdfunding fails.